The most popular approach shoe is back, again. This time round, the design, fit, and sole have been improved, the lacing has been extended, and the weight has been reduced by 20%. 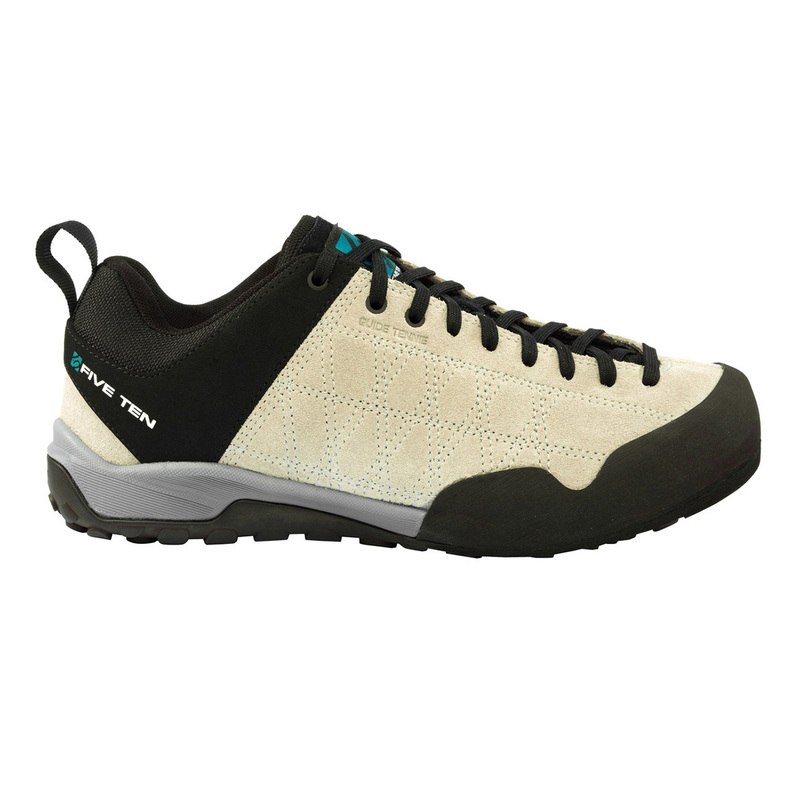 Five Ten say they have really dialled in the fit to make it the most ergonomic and comfortable yet, and the latest model's rocker is higher to make hiking and walking easier, for longer. 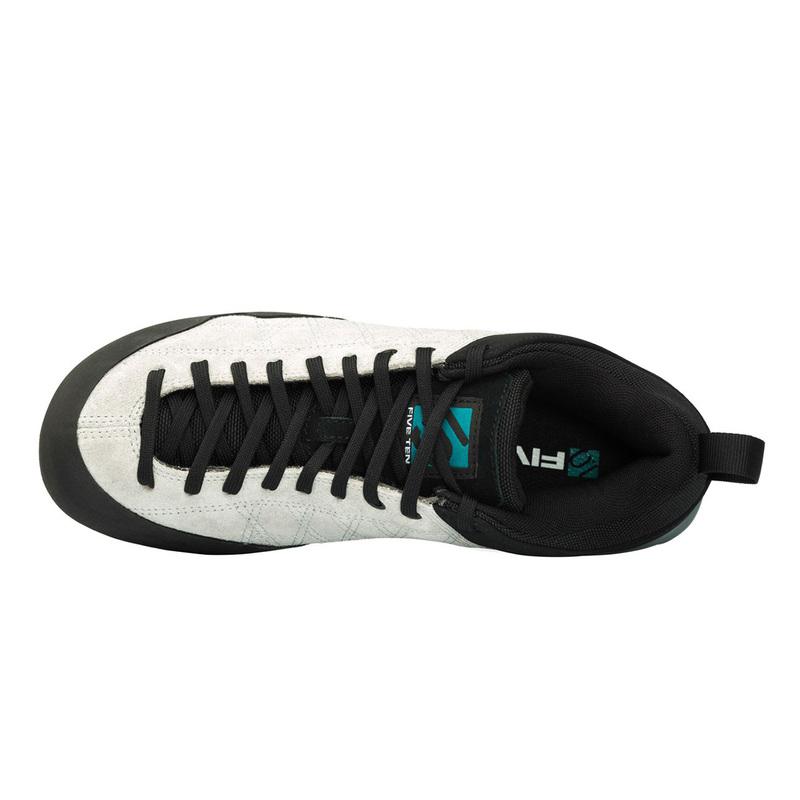 The extended lacing provides a tighter fit in the toe-box area, improving the sensitivity of the shoe's climbing zone. The Guide Tennie still features the durable and water-resistant leather outer. 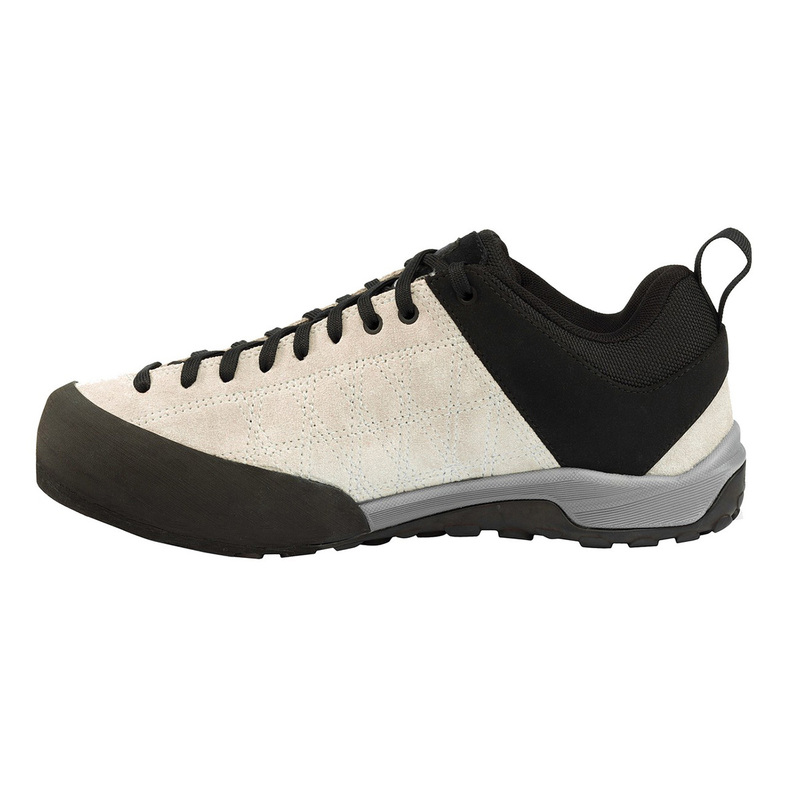 The mesh-lined upper will help wick moisture to keep your feet cool and dry. 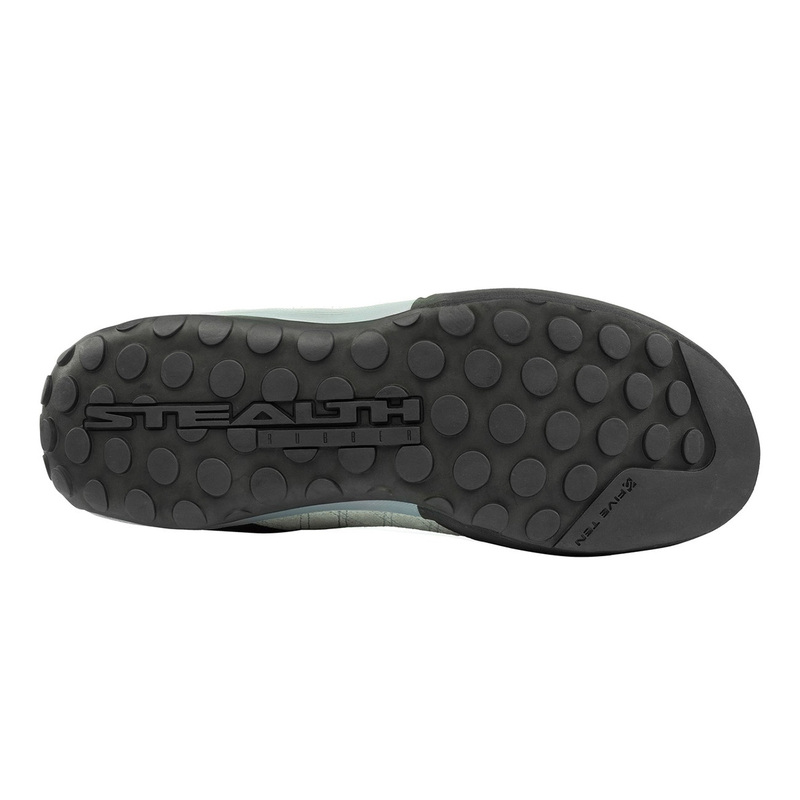 Stealth® C4 rubber is Five Ten's most versatile compound, and this combined with the Dotty™ tread provides grip and stability on all types of terrain, whether hiking or technical scrambling. 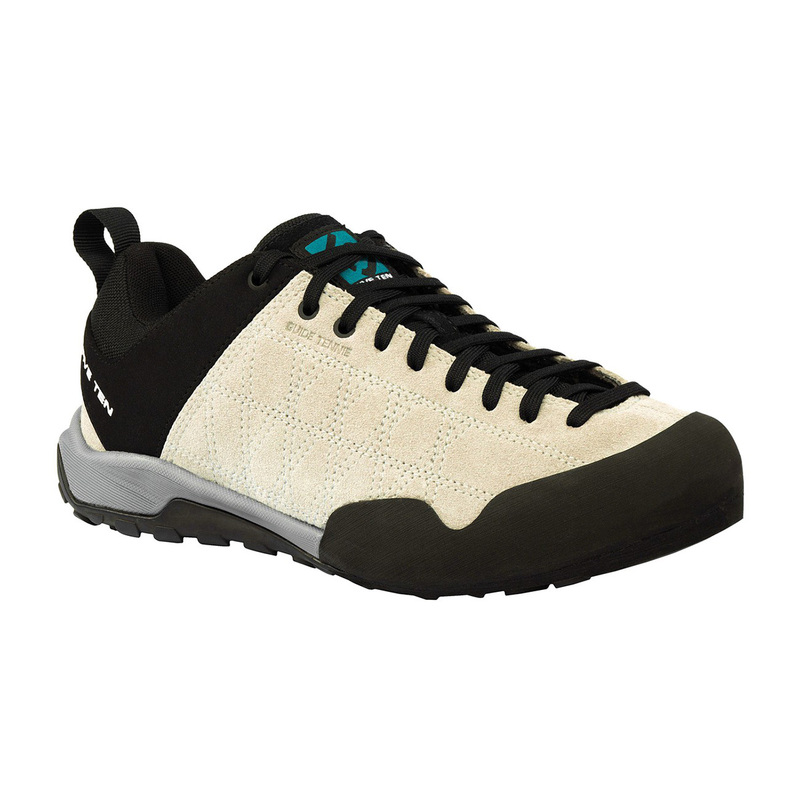 This is the original approach shoe and a staple classic amongst the climbing community. A high-friction rubber used on the majority of Five Ten’s shoes due of its all-round performance and versatility. 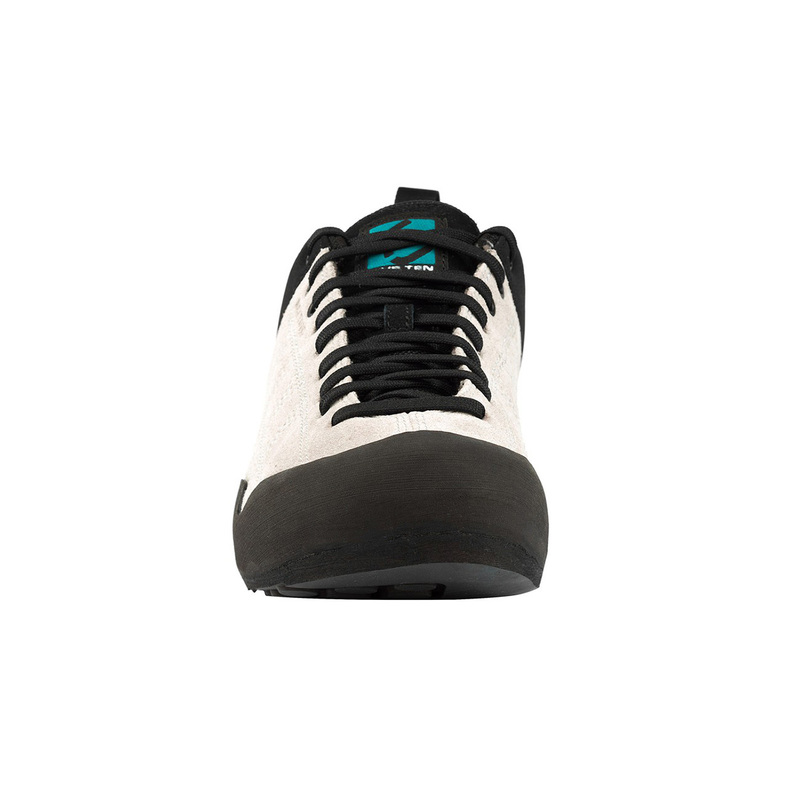 Five Ten first debuted this rubber on the original approach shoe, the Five Tennie, in 1985, and since then Stealth rubber has always been developed by Five Ten themselves in direct conjunction with their shoes, unlike other shoe manufacturers who outsource their rubber. The result is a rubber that works with your shoe harmoniously. This is my third pair of 5.10's. 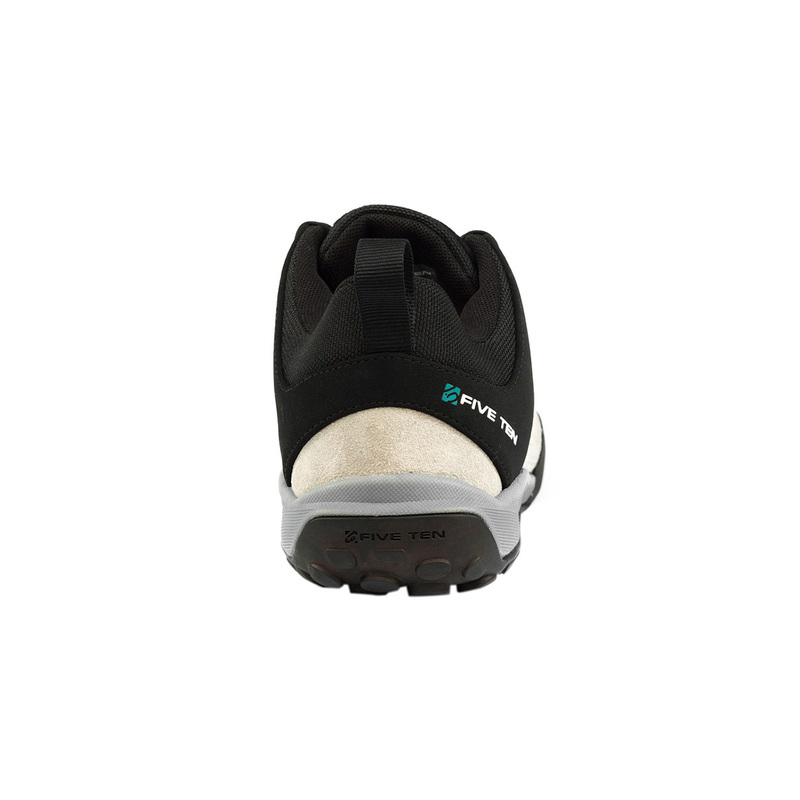 Great for approach, even on wet rocky terrain the rubber is soooo good, I almost never slide! I know, I can climb light routes with them on, but I prefer to keep them alive longer, that's why I also use them for hiking and approaches. It's the first pair I am buying online, without trying them in advance, but since I am wearing only 5.10's last 10 years, I trusted the size and the form. And luckily, my trust was rewarded. Good choice for it's money. Definitely worth it! Comfortable and good looking shoes. I’ve been wearing them to get to crags and around town. Love them.